Pop by! 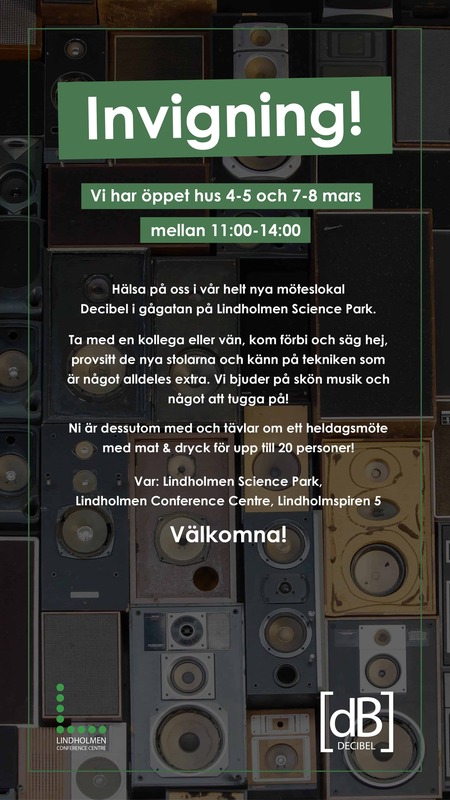 During 4-5, 7-8th of march 11:00-14:00 we host meet & greet in our new meeting room Decibel. Bring a colleague or friend, come by and say hello, try the new chairs and try out the technology that is something extra. We offer great music and something to eat! You are also competing for a full-day meeting with food & drink for up to 20 people! Read more about Decibel here.